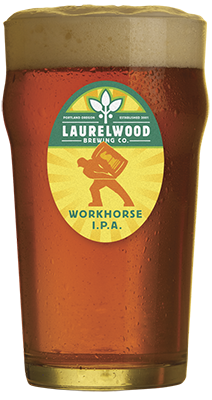 Laurelwoood Workhorse IPA is an extremely well balanced yet super flavorful IPA brewed in the West Coast style. 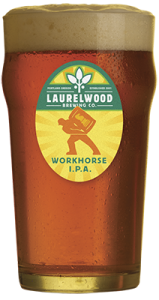 The over-the-top aroma comes from a heavy handed dose of hops in the kettle, hop back and 2 separate dry-hop additions. A slightly sweet finish helps balance the hop bitterness and creates an ale that is both big on flavor yet remains quite drinkable.